My impression is that the Rosary is of the greatest value not only according to the words of Our Lady of Fatima, but according to the effects of the Rosary one sees throughout history. My impression is that Our Lady wanted to give ordinary people, who might not know how to pray, this simple method of getting closer to God. The Blessed Mother’s great love and concern for her children was displayed in her appearances to the three young shepherd children at Fatima. Our Lady came down from heaven to give the world a warning and to plead for prayers from the faithful. Lucia dos Santos, the oldest of the three visionaries of the apparitions, became the spokesperson for the three children. As the apparitions unfolded, Lucia would also become a spokesperson for Our Lady to the world. It all began in Fatima, Portugal, in 1916, when the Angel of Portugal who was the Angel of Peace appeared to Lucia and her younger cousins, Francisco and Jacinta. The angel was sent from heaven to prepare the children’s hearts for what was to come the following year. The angel quickly put the children’s minds at ease and instructed them to make reparation for those who had offended God. Through a series of three visits, the radiant angel taught the children special prayers, including an intercessory prayer, and impressed upon their little hearts the great importance of praying to make up for the sins of the world. The angel also prepared them for the suffering they would later endure. Each visit brought additional teaching, culminating in the third teaching, which included Adoration of the Blessed Sacrament and the reception of Holy Communion from the angel. Later, the Blessed Mother appeared to the faithful peasant children to entrust them with a powerful mission. Our Lady of Fatima first appeared to the unsuspecting shepherds on May 13, 1917, while they were out in the field grazing their sheep. It was at the Cova da Iria (or Cove of Irene, which means “peace”) that the children were startled by unexpected flashes of light. Suddenly, a beautiful radiant Lady dressed in white stood on a nearby oak tree. This article is from a chapter in Advent with Our Lady of Fatima. The children learned right away in this first apparition that the Lady was from heaven, though they did not yet know that she was the Blessed Mother. The beautiful Lady told the children not to be afraid and spoke to them about heaven. Lucia spoke up and asked what the Lady wanted of her and eventually asked her if she and her cousins would go to heaven. The children learned from the Lady that a friend who had died was in purgatory being purified. They knew that purgatory was not a punishment as much as it was a gift of mercy from God. They also were happy to learn that they would all go to heaven. Mary then asked the children if they would accept a holy mission. Are you willing to offer yourselves to God and bear all the sufferings He wills to send you, as an act of reparation for the sins by which He is offended, and of supplication for the conversion of sinners? They happily agreed, even though they were unaware of what was in store. Indeed, they must have received graces to accept the great calling. We should be inspired and deeply edified to know that these three young children were willing to do whatever it took to carry out the heavenly mission. This Advent, let us strive to offer our hearts completely to God. Our Lady also told the children: “Pray the Rosary every day to obtain peace in the world, and an end to war.” Lucia, Francisco, and Jacinta wholeheartedly agreed with the Blessed Mother’s requests to accept the suffering that would come their way and to pray the Rosary every day. As faithful Catholic children, they had been praying the daily Rosary out in the fields after they ate their lunches, but, being so eager to play their games, they had rushed through the prayer. After Our Lady of Fatima requested the daily Rosary, they decided to oblige her with servant prayers, no longer rushing. Lucia became a nun when she was older — first in the Dorothean Congregation and later in the Carmelite Order. 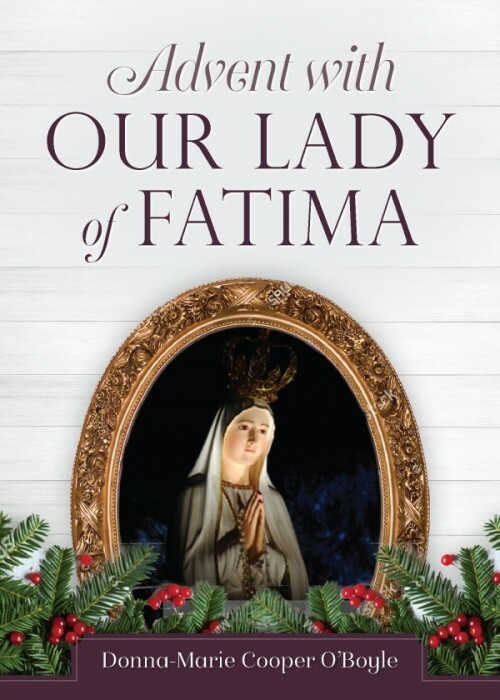 In the passage that begins this chapter, Sr. Lucia reflects upon the great value and effects of the Rosary, based on what the Blessed Mother had told her and on her own observations. She considered that the Blessed Mother gave this “ordinary” way of prayer to folks so that they could grow closer to God. Our Lady of Fatima asked that the daily Rosary be prayed for peace in the world. Consider for a moment whether you make excuses for not praying the Rosary daily. Can you commit to trying to pray it daily? The three young shepherd children prayed the Rosary faithfully. As well, during this Advent, prepare your heart for the upcoming Nativity of Our Lord Jesus as well as for His Second Coming. Try to spend less time on media and television to pray the Rosary. In addition to the Rosary, schedule at least twenty minutes of prayer and meditation each day. Pray about a sacrifice you can make to offer in reparation for sinners. This might sound like a lot to accomplish, but with God’s amazing grace and the beautiful example of the shepherd children, you can do it! Pray the Rosary today in honor of Our Lady of Fatima and for peace in the world. Editor’s note: This article is from a reflection in Advent with Our Lady of Fatima, which is available from Sophia Institute Press.